This is a political science research paper on Watergate and President Richard Nixon. This is a political science research paper on Watergate and President Richard Nixon. The incident and cast will be discussed. In this research paper, the writer will answer the following questions: What was Watergate, and who were the main players in the scandal? What laws were broken, and by whom? How was it covered up? What were the results? And finally, what were the lessons learned from this event? The Break-in - On June 17, 1972, five men were arrested at the Watergate apartment complex in Washington, D.C. attempting to break into and wiretap the headquarters of the Democratic National Committee. 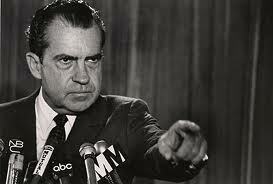 As it turned out, this was not the first Watergate break-in. Paper Masters writes custom research papers on Watergate and Richard Nixon and will answer the following questions: What was Watergate, and who were the main players in the scandal? What laws were broken, and by whom? How was it covered up? What were the results? And finally, what were the lessons learned from this event?